We are delighted to announce the launch of a new workshop aimed at inspiring GIFTED and TALENTED children to independent and challenging collaborative work. 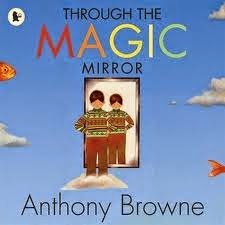 The 6 part workshop called 'Through the Magic Mirror' is built around the fantastic book of the same name by Anthony Browne. With it's deceptively simple story and the surreal illustrations, this is the ideal starting point to get talented children thinking. Collaboration and independent project work. Creative writing and the skills needed for high quality art. Write, edit and present a piece of structured writing. Create pieces of high quality art work. Explore creative processes of authors, artists and illustrators. Develop confidence, interpersonal skills and enjoy themselves.